Spring is in the air! For many of us that means we're looking for a weekend to dig into spring cleaning. As you sweep away the cobwebs and move the furniture to get things extra clean, don't forget to give your floors some timely extra maintenance. Kermans flooring in Indianapolis has a few great tips to help you clean your floors any time of year. 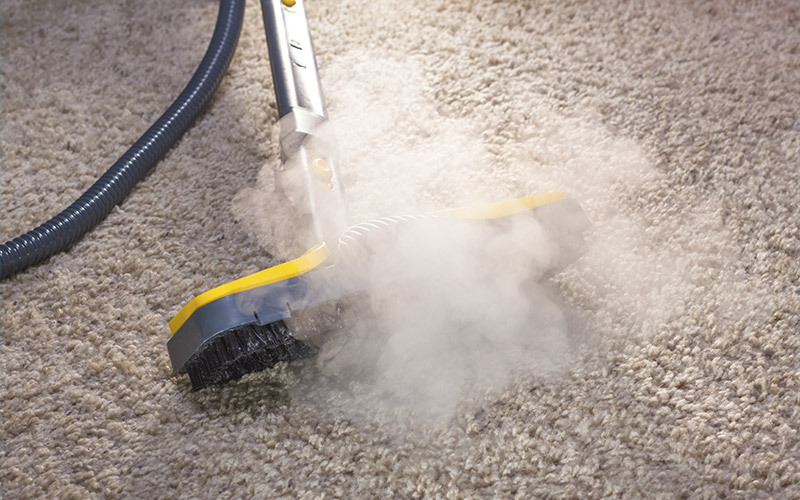 The best thing you can do for your carpet is regularly vacuum it to remove loose dirt and debris. When it's time for spring cleaning you're ready to take it one step further by scheduling a professional cleaning. Over time soil from air pollution and dirt tracked into your house can cause fiber damage. Dirt build-up can even dull the color of your carpet. Don't try to do it yourself. A poorly done carpet cleaning can invalidate your carpet warranty or make your carpet look worse than before. Most manufacturers recommend that you schedule a professional carpet cleaning every 12-18 months. Learn more cleaning tips from everyday techniques to taking care of spills in our free carpet care guide. Spring cleaning is a great time to take a close look at your hardwood floor for scuffs or heel marks. Using a manufacturer's recommended hardwood floor cleaner, spot clean the floor by rubbing the stained area with a soft cloth and the cleaner. Spring is also when you're likely to have dirt and mud tracked in from outside, especially if you have pets. Remember to never wet-mop a wood floor. If you need to wipe up mud or dried on stains, use a soft, damp cloth and immediately dry the floor with a towel. Learn more cleaning tips from everyday techniques to taking care of scuffs in our free hardwood care guide. Tile is one of the easiest floors to keep clean with one exception: grout. One of the most frequent questions we hear related to floor maintenance is "How do I clean my grout?" It is important to use a cleaning product specifically designed for grout and tile so you do not bleach or stain your floor. We recommend using an alkaline-based cleaning product so that you do not harm the plaster. If you have stubborn stains, use a brush to remove the dirt. Always rinse thoroughly after cleaning. Learn more cleaning tips from everyday techniques to taking care of stains in our free hardwood care guide.